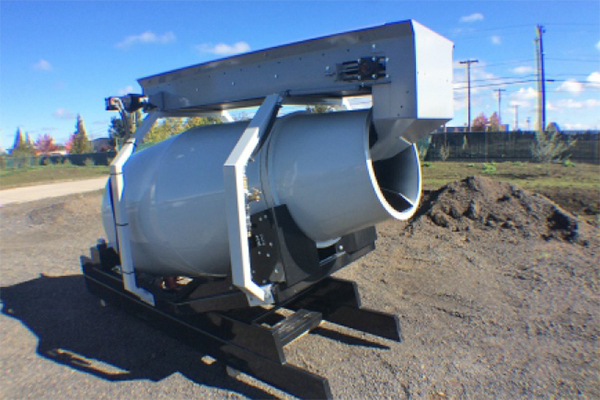 The Cart-Away TopLoader is a convenient option that turns the skid mount portable concrete mixer into an all-in-one field mixer and an overhead conveyor with mounting legs attached to the tilt-frame of either a 1.25-yard or 1.75-yard Skid Mixer. The conveyor provides a way to load your sand, gravel, and cement into the drum without separate loading equipment. 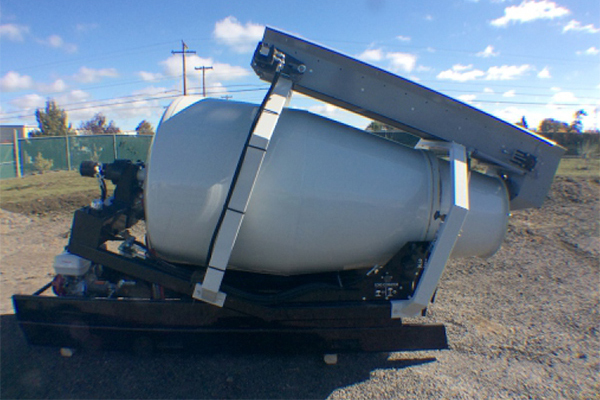 This creates an all-in-one portable batch plant. There is a hook-up for water with a digital water meter to measure your water content in the drum. You can use a tractor bucket or a super-sack to load this useful mixer option. 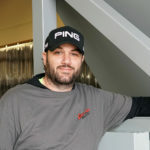 Ask your Cart-Away mixer specialist about creating the perfect field mixer with the TopLoader option. 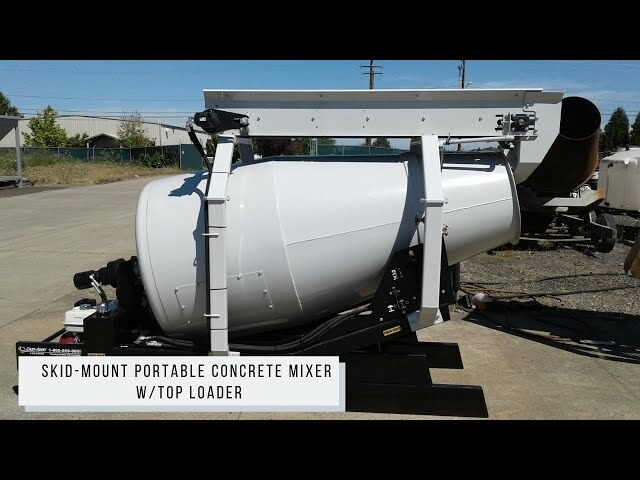 A 1.75 cubic yard portable concrete mixer that is and all-in-one portable batching system for doing mid-sized concrete pours out in the field. 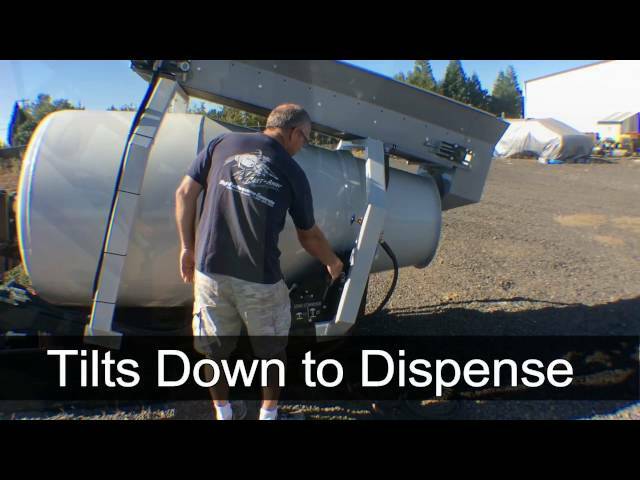 Convert Your Skid Mixer into a Convenient All-In-One Field Mixer. When you want your portable mixer to do more, let us build you a TopLoader. 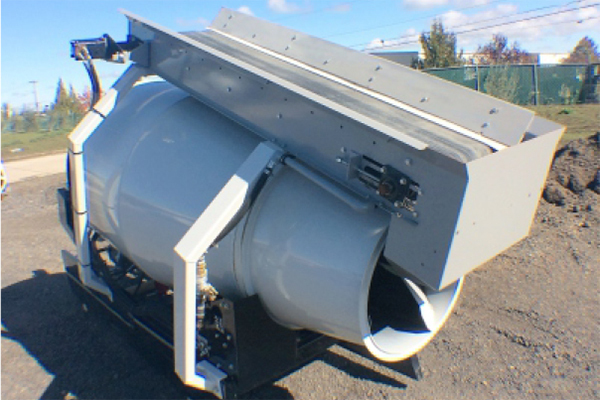 This option mounts on the skid mixer to turn it into a portable concrete batch plant.